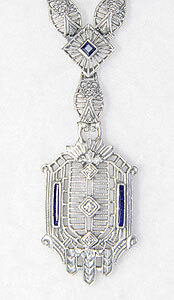 Vertical lines of blue enamel bracket three diamonds on this filigree sterling silver necklace. 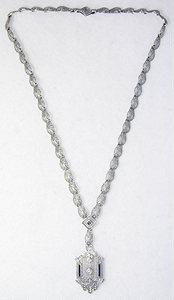 The pendant portion is an embellished rectangle and a sapphire is set at the junction of the pendant. It measures 17” in length.